Jacket with 1 button 100% Cotton by Norio Nakanishi - Clothing Women Jackets On Sale. 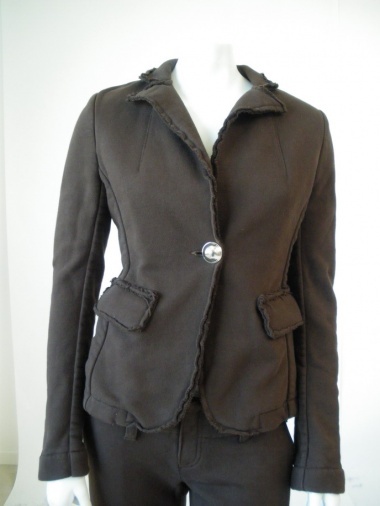 Jacket in cotton felt with a metal button, patch pockets applied on the hips. Raw cutted seams.